From the College’s seven Division I fall sports teams, 95 students were named to the Patriot League Academic Honor Roll. To be eligible for the honor roll, student athletes need to record at least a 3.20 grade point average during the semester. 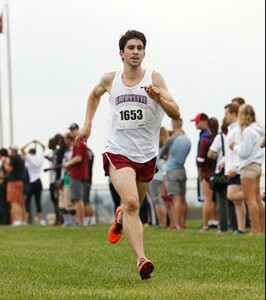 Matt Weintraub ’18 led the men’s cross country team. The men’s and women’s cross country programs combined for 18 selections. Emily Moore ’19 (Whitehouse Station, N.J.) topped the women’s squad with a 4.0 GPA, and neuroscience major Matt Weintraub ’18 (Flanders, N.J.) led the men with a 3.83 GPA. Field hockey had 12 students on the honor roll. Goalkeeper Katelyn Arnold ’17 (Coopersburg, Pa.) led the way with a 4.0 grade-point average. The government & law and economics double major was also on the Academic All-Patriot League team in the fall. Twenty-four football players made the honor roll. Defensive lineman Andy Labudev ’17 (Cresskill, N.J.), a double major in economics and international affairs, posted the highest semester grade-point average with a 3.93. Men’s soccer was the top team in the Patriot League with 16 selections. Michael Bloom ’16 (Falmouth, Maine), an economics and anthropology & sociology double major, led the Leopards with a 4.0 GPA. Chemical engineering major Todd Forrester ’16 (Williston, Vt.) earned a spot on the list for the fourth straight year with a 3.90 GPA. 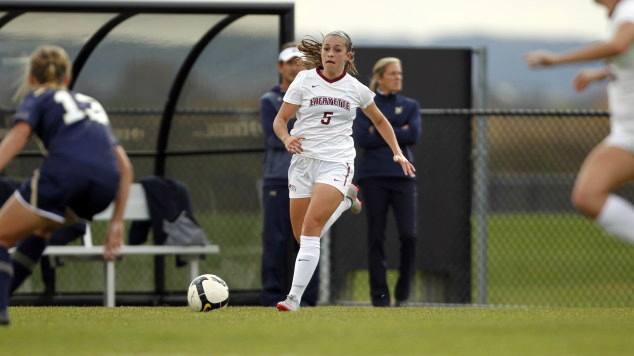 Anna Wissler ’16 was one of three soccer players with a 4.0 GPA. The women’s soccer team had 17 students on the honor roll. Three players led the team with 4.0 GPA’s: Kaelin King ’17 (La Canada, Calif.), a double major in government & law and international affairs; Paige Thompson ’18 (Alpharetta, Ga.), a psychology major; and Anna Wissler ’16 (Alexandria, Va.), a double major in art and economics. Wissler, Madison Murray ’16 (Palos Verdes, Calif.), a double major in art and Spanish, and Samantha Potoczak ’16 (Avon Lake, Ohio), a double major in international affairs and film & media studies, were all on the honor roll for four years. Eight representatives of the volleyball team were on the list. Meghan Donohue ’19 (Glen Rock, N.J.) led the way with a 4.0 average. Categorized in: Academic News, News and Features, Students, The Real Deal: Real Students. Real Athletes. What about the Golf Team?